Fits patio umbrellas up to 11' wide. 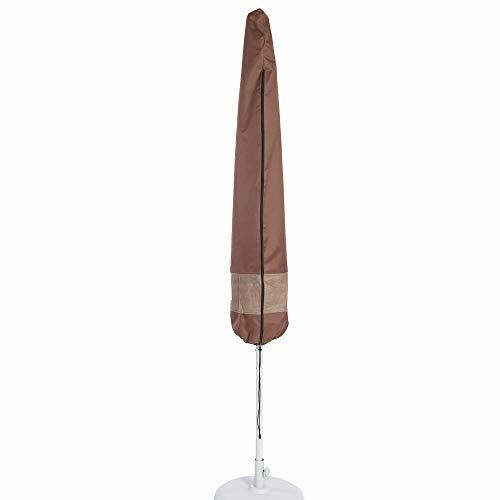 Duck Covers ultimate umbrella covers come with an installation wand that allows cover to be installed easily while the umbrella is in place. Zipper includes pull down rope for easy closure at height. Designed to protect patio umbrella from dust & moisture which can stain the material. Mocha Cappuccino color. Two-year limited warranty has you covered. Migrate to Duck Covers today! If you have any questions about this product by Duck Covers, contact us by completing and submitting the form below. If you are looking for a specif part number, please include it with your message.